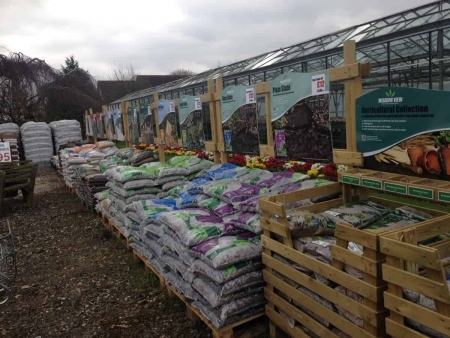 We stock a selection of bulky garden products at Woolpit Nurseries, located by the car park. Tell the cashier what you want to buy and it can be loaded directly into your vehicle. Compost including Multi Purpose compost, Levington potting compost, Ericaceous compost and Professional Seed compost. Lime free Grits and Sands from the Meadow View Stone range. Lime free specialist grits and sands. For improving the drainage of difficult soils and compost. Propagation. Top dressing pots and troughs. Lawn topdressing or aeration products – Silver sand. Scottish Craig Green Rockery Boulders from the Meadow View Stone range. A light green granite decorative stone. Great for rockery gardens or ponds. Suitable as Gabion stone. Perfect for creating height or a decorative feature. Ideal for breaking up larger spaces. Scottish Cobbles from Meadow View. Superior highly rounded 50-75 mm decorative beach cobbles. Fish friendly for aquatic use. Combine with Pebbles for added interest. Great for ponds, rills, streams. Create a natural finish to the edges of ponds. Scottish Pebbles from Meadow View. Superior highly rounded 20-30 mm beach pebbles. Great for ponds, water features, rills and streams. Creates a natural finish to the edges of ponds. Adds contrast and a focal point to any planting scheme. Fish friendly and suitable for aquatic use. Blue Slate Rockery from Meadow View. A blue slate rockery stone. 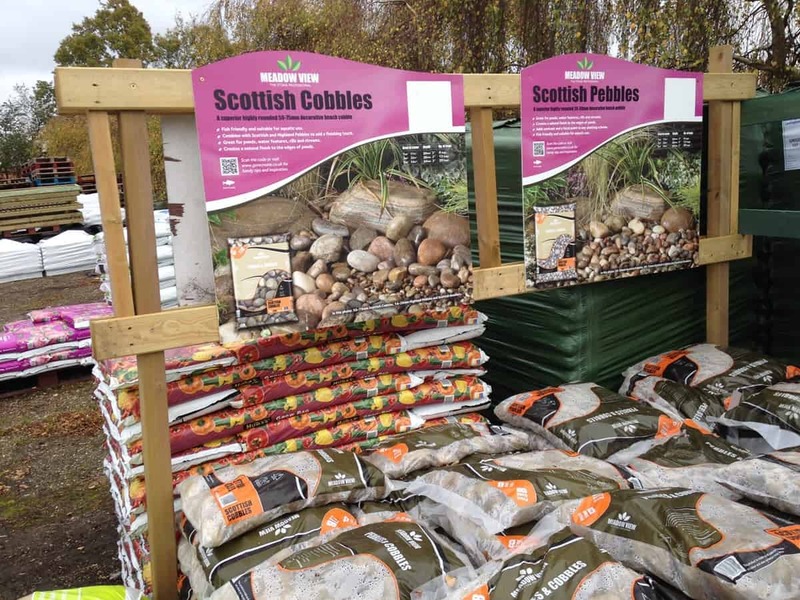 Great for rockery gardens and ponds. Suitable for Gabion Stone. Perfect for creating height or as a decorative feature. Ideal for breaking up larger spaces. 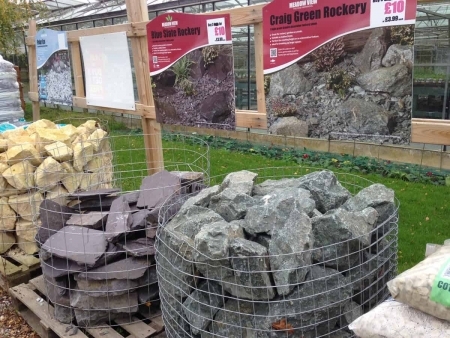 Plum Slate, Blue Slate, Green Slate, Gold Slate and more colours from Meadow View. The slates are re-cycled, bi-product of the roofing industry and is a a cost effective mulch, which alleviates water evaporation, whilst providing a pervious surface for plants and wildlife.